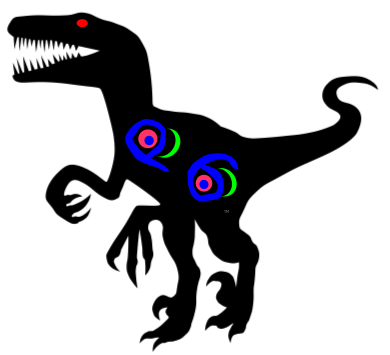 While I like Cameila (especially as a humorless-stick-in-the-mud-detector), I really like the Perl 5 velociraptor. While I don't necessarily recommend the book in general, butterflies can be scary, so what appears to be a harmless lepidoptera might eat your brain. The bright colors are warnings against potential predators. Tread carefully. For all of the beauty, you have no idea what the butterfly might do to you. Of course, Perl 5 is smarter and more dangerous than you think. If you fail to respect it, it will eat the competition. Imagine if they teamed up, perhaps with a Perl 6 with access to most of the CPAN. Talk about a velociraptor with butterfly wings, or at least warning spots. This page contains a single entry by chromatic published on February 28, 2011 11:01 AM. The Secret Weapon was the previous entry in this blog. Removing Hostility from User Documentation is the next entry in this blog.